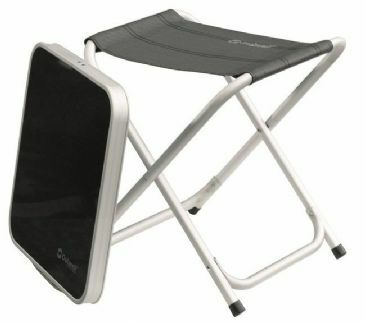 This Aluminium/Wood Effect Sorrento Folding Table & Stools is perfect for use outdoors during your camping adventures. Featuring 4 high-speck stools made from hard wearing canvas, this is a must have camping table whilst is also ideal for use in the home and garden. 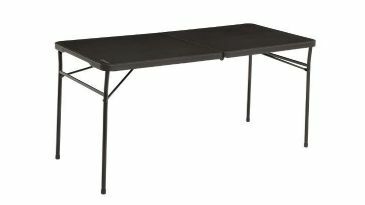 Black Adult Picnic table. Our 100 % Recycled Plastic furniture will not rot, splinter, crack or degrade with age, so is maintenance free, providing Long term cost savings. Various colour combinations are available please contact one of our sales advisers for more information. Our Black Edge Bench is made out of 100% recycled plastic. Its suitable for all ground surfaces and is maintenance free. It will not rot, splinter, crack or degrade over time, providing long term cost savings. 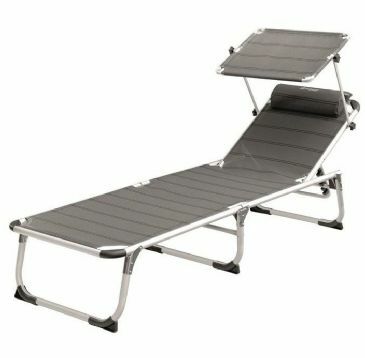 Can be used indoors and out, so perfect to use in swimming pool changing rooms as well as outdoor public areas. Our Black Fully Moulded Bench is made out of 100% recycled plastic. Its suitable for all ground surfaces and is maintenance free. It will not rot, splinter, crack or degrade over time, providing long term cost savings. Various colour combinations are available please contact one of our sales advisers for more information. Black walk through picnic table. Our 100 % Recycled plastic furniture will not rot, splinter, crack or degrade with age, so is maintenance free, providing long term cost savings. Various colour combinations are available please contact one of our sales advisors for more information. Brown Adult Picnic table. 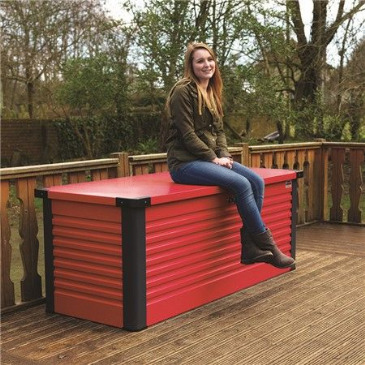 Our 100 % Recycled plastic furniture will not rot, splinter, crack or degrade with age, so is maintenance free, providing long term cost savings. Impervious to all weather conditions, damp and moisture. Various colour combinations are available please contact one of our sales advisers for more information. Our Brown Edge Bench is made out of 100% recycled plastic. Its suitable for all ground surfaces and is maintenance free. It will not rot, splinter, crack or degrade over time, providing long term cost savings. Can be used indoors and out, so perfect to use in swimming pool changing rooms as well as outdoor public areas. Various colour combinations are available please contact one of our sales advisers for more information. Our Brown Fully Moulded Bench is made out of 100% recycled plastic. Its suitable for all ground surfaces and is maintenance free. It will not rot, splinter, crack or degrade over time, providing long term cost savings. Various colour combinations are available please contact one of our sales advisers for more information. Brown Walk- through picnic table. 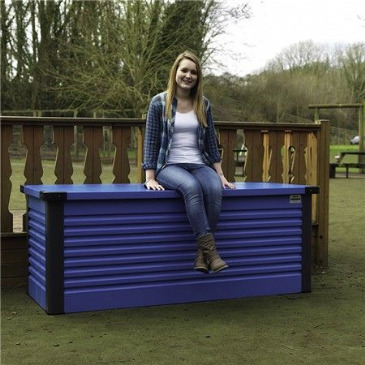 Our 100 % Recycled plastic furniture will not rot, splinter, crack or degrade with age, so is maintenance free, providing long term cost savings. Impervious to all weather conditions, damp and moisture. Various colour combinations are available please contact one of our sales advisers for more information. 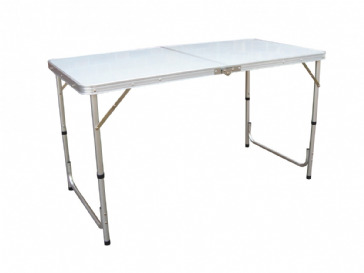 With its aluminium top and foldable legs this table is very stable. 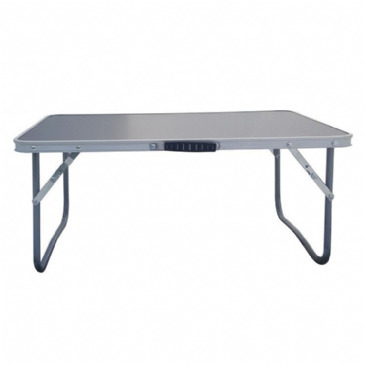 The midsize Easy Camp Arzon folding camping table offers all the benefits of the Blain, but is larger, seating between four and six people. Ideal for camping trips with friends and family, Arzon offers plenty of space for preparing food, eating, and playing games. 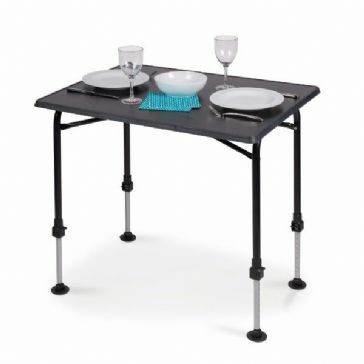 Enjoy romantic meals under the stars with the Easy Camp Caylar folding table that’s made for two. 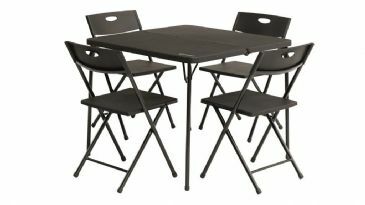 The extra-sturdy steel frame has four crossbar supports, which keeps the table stable on blustery days. So you don’t need to worry about the weather spoiling your plans. 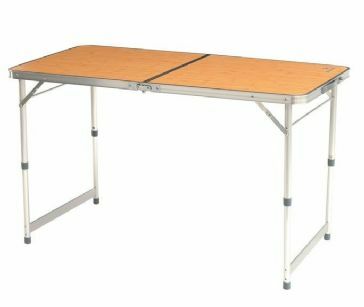 Large size adjustable-leg table, ideal for couples and small groups for camping, caravanning, picnics and in the garden. 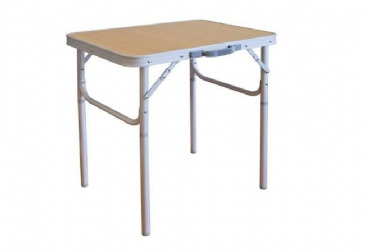 Medium size adjustable-leg table, ideal for couples and small groups for camping, caravanning, picnics and in the garden. 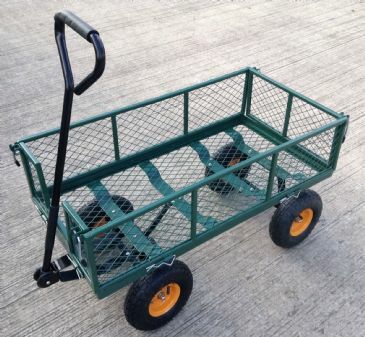 4 Wheel tipping action cart. 75L Capacity, 120kg mamimum load. Front steering with folding padded grip handle and pneumatic tyres. Some assembly required. 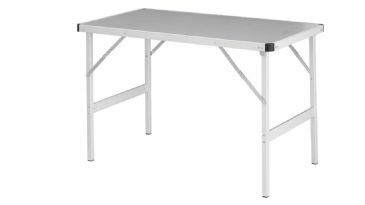 This Lifetime 4 foot fold-in-half height adjustable table features a smooth moulded table top with a grey round folding frame. This contemporary design will not crack, chip or peel so is perfect for outdoor or indoor use and for light commercial use. Claros is a portable table with a neat newly designed table top design. It is easy to open and fold and packs together to suitcase. 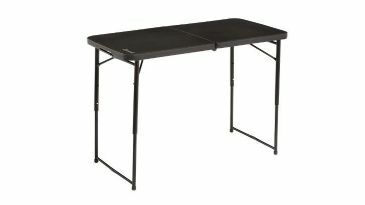 The table is ideal for picnic or camping. Waterproof tabletop in durable moulded plastic, Opens and folds in seconds, no assembly required, High strength durable steel, Practical handle for easy portability, Waterproof chairs in durable moulded plastic, Includes carrybag for easy storage and portability. Outwell Transporter Range designed to easily carry tents, gear and lugage to campers' pitches, picnics and days on the beach and then fold away for storage. 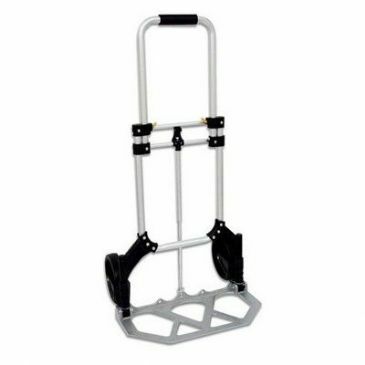 With sturdy wheels and handles, the transporters are easy to manoeuvre on the beach or rough ground. Hard wearing, smart and environmentally friendly. This space saving furniture is ideal for campers who want a stylish package of modern design, comfort and durable materials. 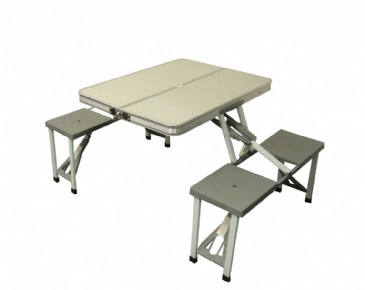 The portable table is compact and easy to carry yet very stable when opened. 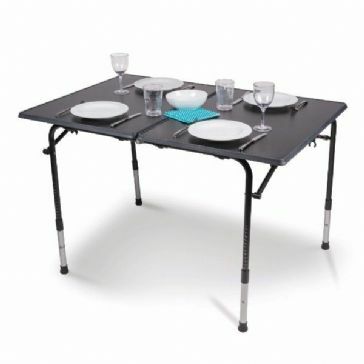 For picnic or camping the table fulfils your needs. 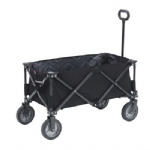 With puncture proof rubber wheels the Transporter provides easy transportation of bulky items. Opens and folds in seconds. High quality Textiline. Sturdy aluminium frame. No assembly required. Lightweight and easy to carry. 5 positions. Detachable pillow. Sunshade. With a stylish fabric pattern, which is perfectly complemented by the color-matched powder-coated hybrid frame made of steel and light metal. Foldable to a small pack size. 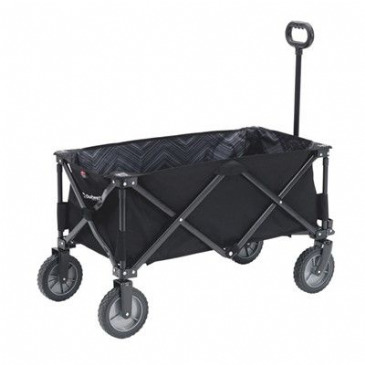 The Trolley is ideal for transporting pots, compost, stones, straw, riding equipment, camping gear, festivals and much more. Small pack size. Sturdy steel frame. Easy and quick assembly. Carrybag for transport included. Mesh panels for enhanced breathability and comfort. 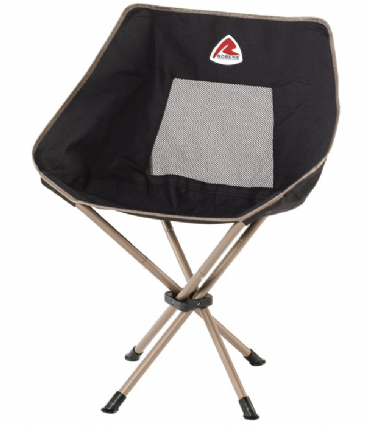 The Settler is one of a new range of super lightweight chairs from Robens. 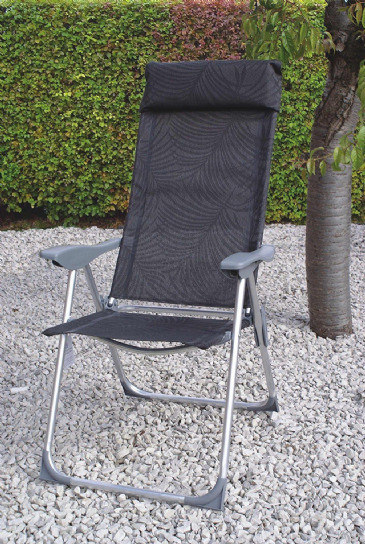 This chair provides a high degree of comfort and support whilst maintaining the relative low weight and small pack size required for outdoor living or activities. 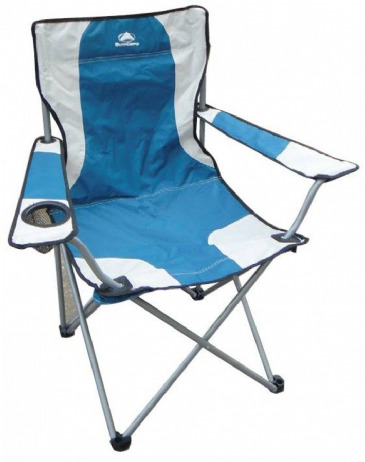 With padded fabric, straps for arm adjustment and 3 reclining back positions, the Adjustable Chair combines comfort with adaptability to make it a useful chair for a camping trip. 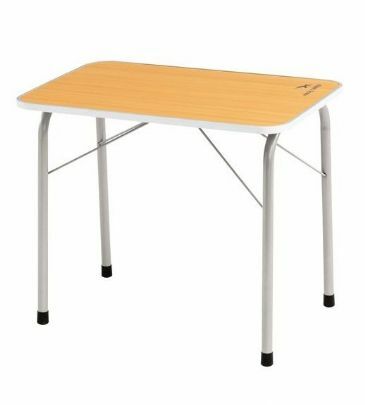 Ideal for travelling - the legs unscrew and clip underneath the table top to create two heights. Legs unscrew and clip inside table. Wipe clean top. 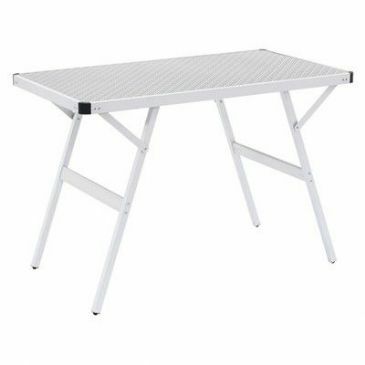 On uneven surfaces the feet adjust & can help level the table. Wicker table and chair set in a mocha brown finish. The set comprises of 140cm round glass topped table with 6 carver chairs and cushions. The hand woven synthetic wicker offers style, comfort, strength and durability making it suitable for both indoor and outdoor use. Wicker table and chair set in a mocha brown finish. The set comprises of a rectangular glass topped table 150cm x 90cm with 6 carver chairs and cushions. The hand woven synthetic wicker offers style, comfort, strength and durability making it suitable for both indoor and outdoor use. The Sunncamp Aluminium Picnic Table is a great family table: everyone can enjoy their food in civilised comfort! 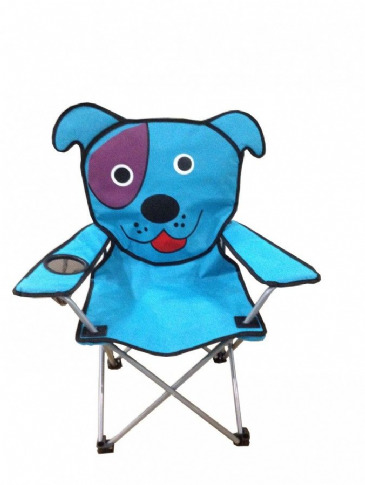 Kids will definitely love these Sunncamp Kids Animal Chair in a fun pattern of a dog. This chair can fold compactly into its own carry bag for easy transportation and storage. 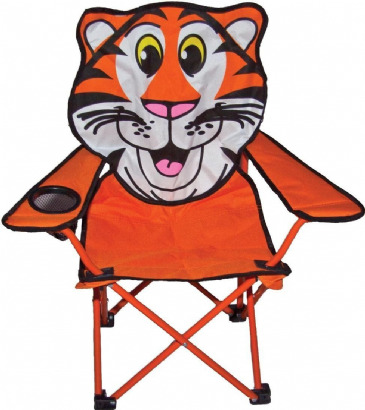 Kids will definitely love these Sunncamp Kids Animal Chair in a fun pattern of a tiger. 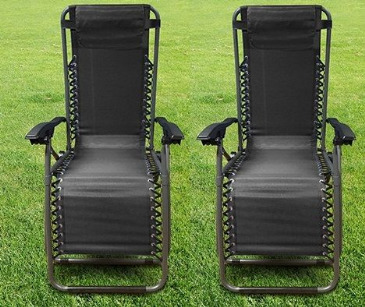 This chair can fold compactly into its own carry bag for easy transportation and storage. 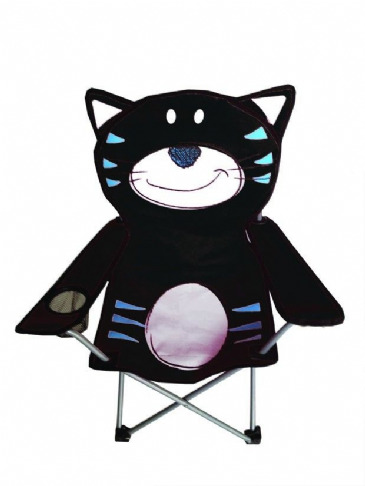 This fantastic camping chair is not only portable but brilliantly comfortable too. The Class Armchair from Sunncamp features a drinks holder in the armrest for convenience for the user. For Camping, Garden, Outdoor, BBQ. Lightweight but strong aluminium table and legs. Folds flat for storage and transportation. Carry handle for use when folded. 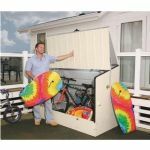 An ideal solution for picnics, days at the beach, camping and caravanning this unit comes complete with four stools, side storage pocket and handy under table storage. The four stools pack inside the folded table during transit and storage. The Sunncamp Picnic Table with Stools is a perfect piece of all in one family furniture yet still taking up minimal space. 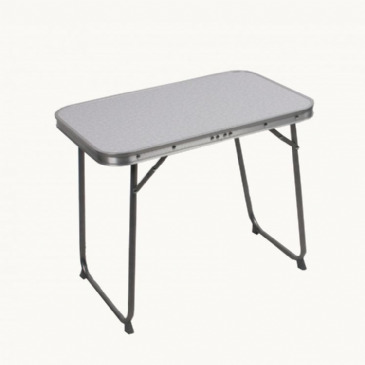 SunnCamp Hardwick camping table is small, lightweight and easy to use for camping or garden – perfect outdoor use providing a raise surface for preparing or plating food! The Hardwick table has been built upon a lightweight yet durable aluminium frame, the legs fold behind the table top for ease of portability and storage; and complete with a carry handle. Lightweight but strong aluminium table and legs. 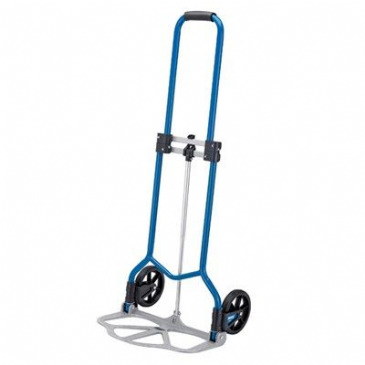 Easy to fold flat for storage and transportation. Carry handle for use when folded. Two height adjustable 68cm and 36cm. 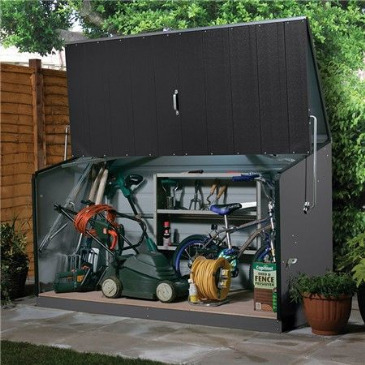 Bikestore holiday home storage unit, spring assisted opening action, maintenance free, 25 Year panel guarantee, PVC coated galvanised steel, fire resistant, simple rapid construction with clear step by step instructions, Anthracite. 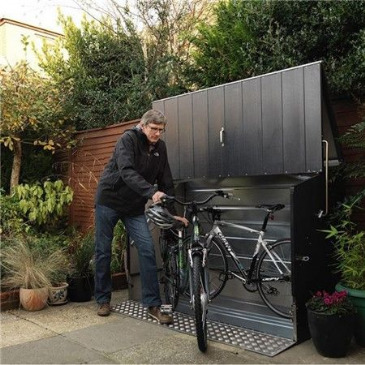 Bikestore holiday home storage unit, Spring assisted opening action, Maintenance free, 25 Year panel guarantee, PV coated galvanised steel, Fire resistant, Simple rapid construction with clear step by step instructions. 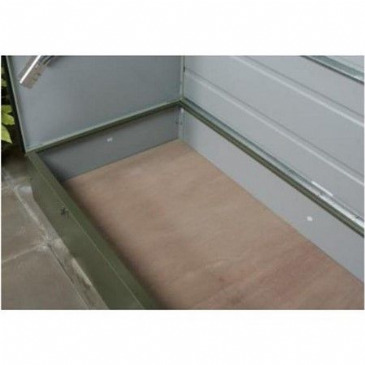 The Trimetals garden patio box range, 'Protect-a-Box', is a superior quality top locking storage solution. 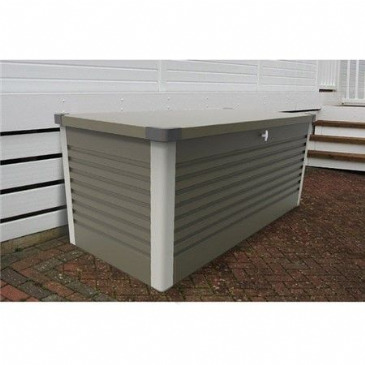 Available in a range of two sizes and six colours (white, green, blue, red, grey and anthracite), and incorporating an attractive modern design, you're sure to find the perfect patio box combination to compliment your garden design. 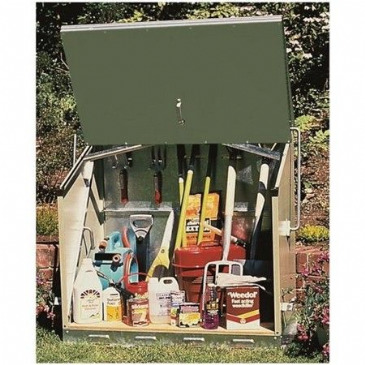 They are perfect for general garden use and also ideal for storing toys, swimming pool equipment and for convenient storage on mobile home sites. 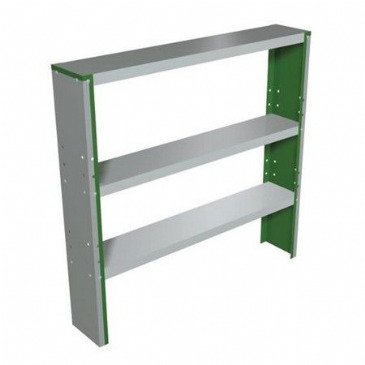 The product is designed to be bolted down onto a hard base and comes complete with a heavy duty integral metal floor. 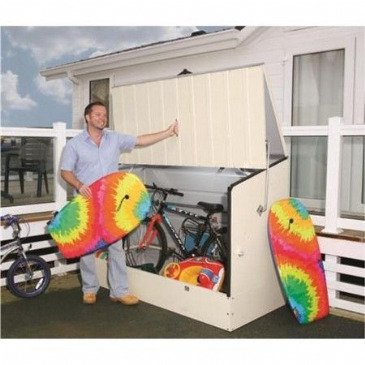 They are perfect for general garden use and also ideal for storing toys, swimming pool equipment and for convenient storage on mobile home sites. Optional floor for Bikestore (FT130), The 1/2" (12mm) exterior grade plywood floor is used if you require the contents of your unit to be raised above ground level, the floor is simply placed on the base frame which is 3" (75cm) above the ground. Optional Floor for Sentinel (FT100). The 1/2" (12mm) exterior grade plywood floor is used if you require the contents of your unit to be raised above ground level. The floor is simply placed on the base frame which is 3" (75cm) above the ground. Optional Floor for Stowaway (FT110). The 1/2" (12mm) exterior grade plywood floor is used if you require the contents of your unit to be raised above ground level. The floor is simply placed on the base frame which is 3" (75cm) above the ground. Optional storage shelf for Storeguard (FT120). 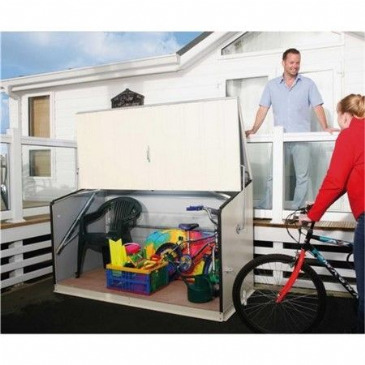 Sentinel holiday home storage unit, Spring assisted opening action, Maintenance free 25 Year panel guarantee, PVC coated Galvanised steel, Fire resistant, Simple rapid construction with clear step by step instructions. SIZE (mm external)1000(H) x 1090(W) x 660(D) Green. 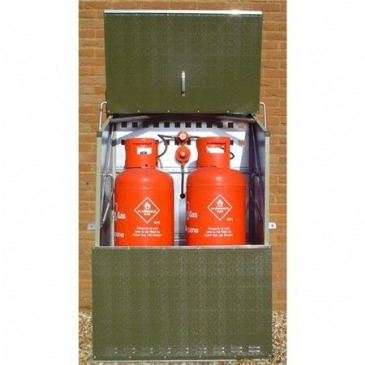 Senturion Gas Cylinder Store suitable for 2 x 47kg cylinders. SIZE (mm external) 1570(H) x 1120(W) x 690(D). 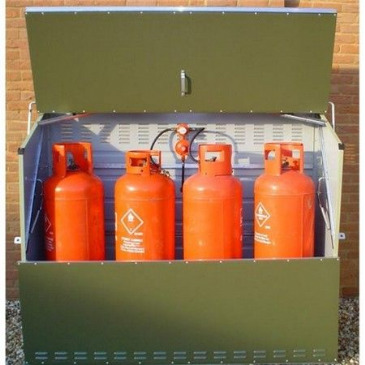 Fire resistant PVC coated, Galvanised steel panels with 25 year guarantee, Safety label (supplied) High level ventilation, Fixing holes for regulator/changeover valve (not included). Protected pipe exit hole to prevent chaffing, Spring assisted opening action, Secure padlock points, Removable lower front panel, Low level ventilation. 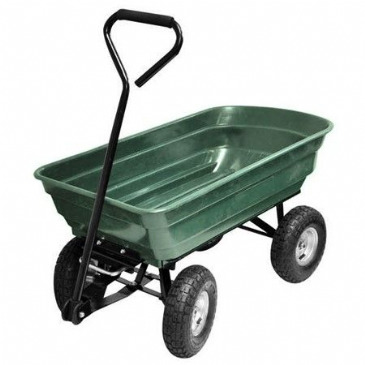 They are perfect for general garden use and also ideal for storing toys, swimming pool equipment and for convenient storage on mobile home sites. 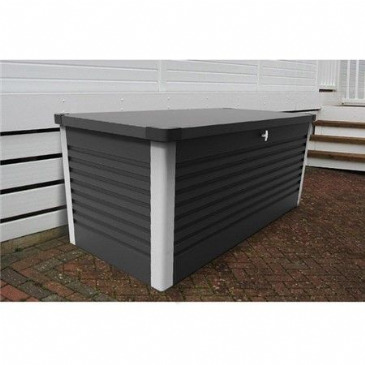 Available in a range of two sizes and six colours (white, green, blue, red, grey and anthracite), and incorporating an attractive modern design, you're sure to find the perfect patio box combination to compliment your garden design. 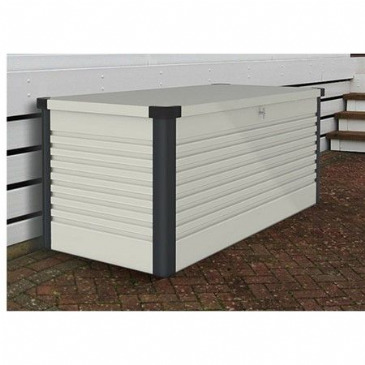 Storeguard holiday home storage unit, spring assisted opening action, maintenance free, 25 Year panel guarantee, PVC-coated galvanised steel, fire resistant, simple rapid construction with clear step by step instructions. 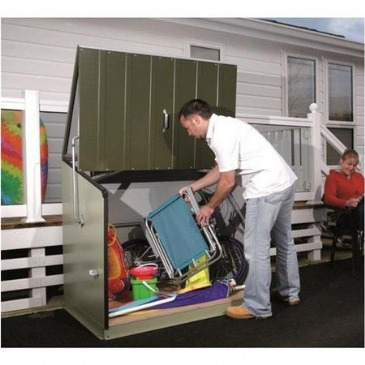 Stowaway holiday home storage unit, Spring assisted opening action, Maintenance free, 25 Year panel guarantee, PVC coated galvanised steel, Fire resistant, Simple rapid construction with clear step by step instructions.